I have had this striped material for a while now just sitting in my fabric boxes. Every time I see it I think it would be perfect for the fourth of July, so a few days ago I decided I should just make a skirt already! I had recently seen this skirt so I used that as a basic pattern to follow. Instead of the elastic waistband she used in her tutorial, I made a wider and longer waistband and just tied it in the back. Personally, I think that the elastic is a better option-it's easier than needing to tie your skirt... but if you want a wider waistband, this is the better option. I just love cleaning out my fabric boxes by completing a project. 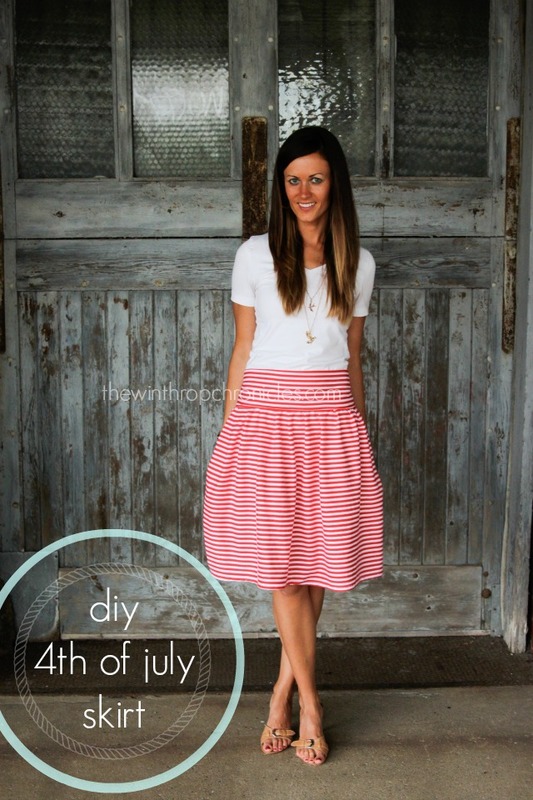 Fourth of July skirt... check! Do you have projects sitting around just waiting to be done?